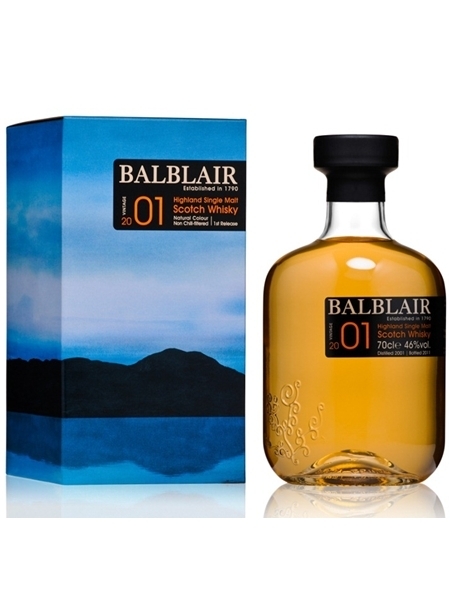 Balblair 2001 (~€65) is a full-bodied whisky from Balblair, released in November 2011. It is matured in American oak, ex-bourbon casks. It's sweet and spicy, natural coloured and non-chill filtered. It is bottled at 46% ABV.